The Smithsonian Institution’s traveling exhibition “Hometown Teams” will make its Nebraska debut March 1 – April 5 at the Morton-James Public Library in Nebraska City. The exhibition, presented in the state by Humanities Nebraska (HN), explores the origins of popular community sports in America and their evolution to today, how sports impact American culture, the essential qualities of competition and fair play and the role of sports in the civil rights struggles by minorities and women. Local stories, photographs, memorabilia and artifacts, collected by the library, will be on display too. A grand opening event for the exhibition will be held on March 6 from 4 to 6 p.m. In addition, Humanities Nebraska speaker Sue McLain will present the program “It’s Not Just About the Game” at the Morton-James Public Library on March 15 at 2 p.m. McLain’s presentation will examine 70 years of sporting fashions. 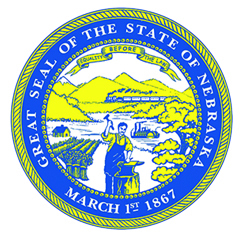 Additional information about these and other events are available at NebraskaHometownTeams.org. Normal operating hours during the five-week exhibition at the Morton-James Public Library will be 9 a.m. to 6 p.m. Monday – Thursday and 9 a.m. to 5 p.m. on Friday and Saturday. After leaving Nebraska City, the “Hometown Teams” exhibition will continue to travel across the state, stopping at the Wahoo Public Library in Wahoo from April 14 – May 17, El Museo Latino/The Latino Museum in South Omaha from June 2 – July 5, the St. Paul Library in St. Paul from July 13 – August 9, the Raymond A. Whitwer Tilden Public Library in Tilden from August 18 – September 20, the Knight Museum & Sandhills Center in Alliance from September 29 – October 31, and the Dawson County Historical Museum in Lexington from November 11 – December 13. 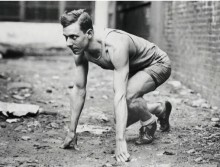 Each site will develop its own exhibit and programming that relates to local sports heroes and legends. "Hometown Teams” is part of Museum on Main Street, a collaboration between the Smithsonian Institution and Humanities Nebraska. This program is made possible in Nebraska through funding support from the Carmen and John Gottschalk Foundation, Brown Transfer Company, the Nebraska Rural Radio Network – KRVN, KTIC and KNEB, the Nebraska Cultural Endowment, the State of Nebraska, and other generous donors.